Just getting qualified individuals to apply to your company can be challenging, and then you’re left with the task of deciding which applicants will have the most positive impact on your business. You need employees who have the knowledge, skills, experience, and certifications needed to do their jobs well. You need employees who will be dedicated to their work, who will show up on time, be responsible, practice work safety, help to sell your products and services, and present a positive image of your company. The time that you have during interviews to determine if candidates will be everything you need them to be is short, so you must make the most of that time by asking the right questions and having the right discussions. This is your chance to find a star employee; this is your chance to save yourself from wasted time and money, spent on someone who will not work out in the long run. Experience Level: Does your job applicant have the experience needed to successfully fill the position you are hiring for? Feel free to ask specific questions about the work he has performed at prior jobs. What tools or systems has he worked with before? What types of projects has he completed in the past? Find out how experienced he is in the precise work that you’ll need him to do and gauge his strengths and weaknesses. Determine how much training you think he would need in order to be successful in the position. Education, Certifications, and Licenses: Inquire about your applicant’s education and any licenses and certifications that he may have. Now is your opportunity to make sure your applicant meets all the basic requirements for the position. Does he, for example, have a driver’s license to get to and from each job if needed? Also find out if he has taken any pertinent courses that would help him to perform the job functions. Background Checks & Drug Testing: This step is particularly important if you are hiring an employee who will go into your customers’ homes to provide services. Many customers do not feel comfortable allowing in technicians who have not been drug tested and background checked. You’ll want to be able to assure your valued customers that all of your employees have been thoroughly screened. You can bring up this topic at the interview to make sure that your candidate is comfortable submitting to both a drug test and background check. Personality: Throughout the interview, you’ll want to be gauging your candidate’s personality. Will he get along with your other employees? When your employees have good relationships with one another, your business’s operations will run smoother. Will your customers like him? Your employees are the faces of your company, so you’ll want to determine as best you can whether your applicant would be a positive representative of your company. Feel free to ask questions about their past dealings with coworkers and customers. Ambition: You’ll want to get an idea of your candidate’s ambition level. Will he perform his work without enthusiasm and with an eye on the clock, waiting for quitting time, or will he take pride in his work? Will your candidate be motivated to grow and learn new things? Does he have the desire to get better and better at his craft over time? What are his long-term career goals? When you sit down with a potential new employee for an interview, don’t focus on just one subject area because you need an employee who is the whole package. If you hire someone simply because he is friendly and you like him, you may find out later that he is incapable of performing the work that you’ve hired him to do. If you hire someone just because he has years of on-the-job experience, you may find later that he has a bad attitude that loses you customers or that he causes problems with other employees. 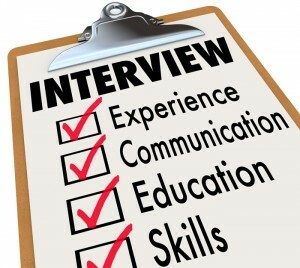 If it helps, bring notes to the interview so that you can make sure you cover all points. Take your time, and consider all the facets of what makes a great, lasting employee at your company. For help bringing in qualified applicants, check out Contractor 20/20’s proven Employee Recruitment Program.